The information you share with us on your intake forms helps us to provide you the best care possible. For new patients, we ask for demographic and insurance information, medical history, preferred pharmacy and various consent signatures among other things and when you return, we may ask you to review and update that information so we stay up-to-date. Our electronic forms portal is a convenient and secure way for you to review and submit information to us before an appointment. 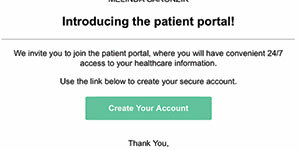 After making an appointment, new patients get an email invitation to begin the short process to register and complete the intake forms. Retrieve our invitation from your email, and click the link. The link will take you to the registration page where you will create your own account password and register. 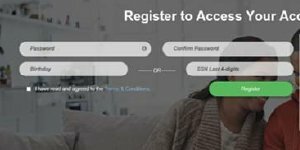 At the registration page, choose your own account password that satisfies the password requirements and retype the password to confirm. Enter the patient's birthday in a MM/DD/YYYY format and leave the SSN option empty. Read and agree to the Terms & Conditions, then lastly click "Register". You're in! Click the "Patient Forms" tab to find your assigned intake forms for the upcoming appointment. 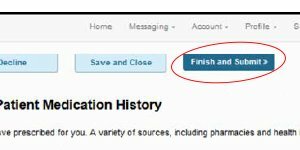 Answer the form questions as completely as possible, e-sign the consent forms if appropriate, and click the "Finish and Submit" button for each completed form in order to send them to us. After you finish and submit your electronic forms, we'll review them and once we accept them, you're good to go. We ask for all forms to be submitted at least three business days before the appointment, but we take them right away too. We like to have everything in order before the appointment so we can focus on you. Patients with appointments receive an email notice anytime new forms are available to review or complete. These email reminders are often sent immediately after an appointment is made with us but no later than one month before the date of the appointment. Sign in to your account here if you're already registered to use the forms portal. A copy of your medical records can only be released to you or another person you designate or transferred to Rockwall Dermatology with your written permission. If you have medical history with another Dermatology provider, please download and print the Medical Records Release form. Complete this document and return it to your most recent Dermatology provider in order to transfer your records to Rockwall Dermatology prior to your first appointment. Download the Medical Records Release Form.